I think the universe is trying to tell me (or beat into me) that it’s been too long since my last endurance event. It’s time to get off my lazy, filled with doughnuts, buttocks, and start training again. Or, maybe, I was just to be reminded of the joys of peanut butter and bananas, classic training foods. That must be it. I was thrilled to have this craving because I can make this without a kitchen. I even made the peanut butter, because all you need is a food processor and an outlet to plug in to. 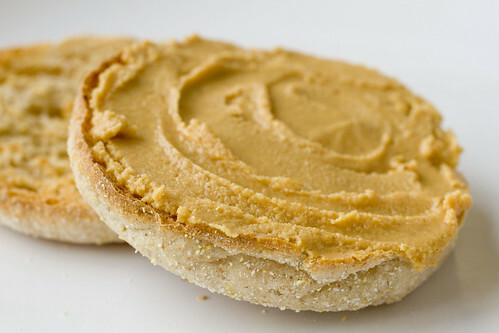 If you’ve never made fresh peanut butter before, you’ll be truly amazed by how easy it is. 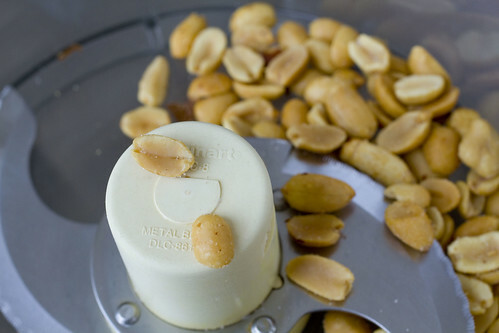 Just put your choice of peanuts in a food processor and hit “on”. Let it go until you get to your desired consistency. For smaller amounts, you’ll need to scrape down the sides once or twice in the middle. You can actually use any kind of nuts you want and make different nut butters, salted or unsalted, based on preference. I like to make small batches because the freshness is amazing. Unadulterated by extra sugars, corn syrup, or preservatives. Inhale the smell of pure nuttiness. It’s too easy to pass-up. 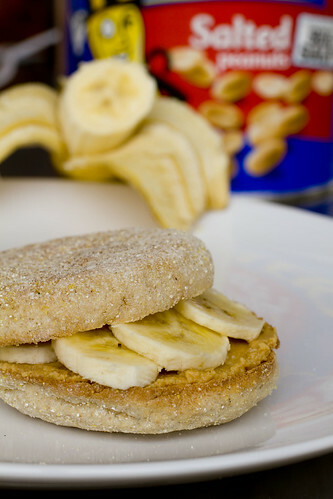 Add a layer of sliced bananas for a sweet touch, and you’ve got yourself a power sandwich. Forget those power bars. posted by jessica	at 01:24 PM	Filed under Basics, Un-Recipes. You can follow any responses to this entry through the RSS 2.0 feed. Both comments and pings are currently closed. So that’s the stuff that they sell at Whole Foods for a huge mark up?? I’m making my own now! Wow, these look great! I love a good ol’ fashion classic. Those bananas are loaded with potassium too. So its great for people with high blood pressure! Caroline, yup, pretty much. Glad I could save you some money. Grace, you can be lazy and still think this is easy. Trust me. Kalyan, renovating is such a long process but hope to share some pics soon. Kim, when I’m eating a banana plain, I like them slightly under-ripe, but for using in a sandwich, I want it to be perfectly ripe. The only time I use super ripe is for banana bread. Mmm the best sandwich!! Love that you made the PB yourself! I like with salt so i use salted peanuts? dry roasted salted? or unsalted & add kosher salt? Kasi, you can either. They will all give different results but it’s based on preference. 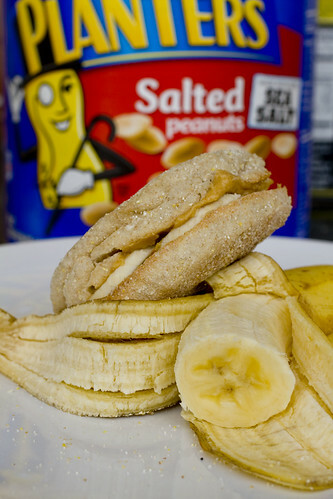 I’ve always loved peanut butter and banana, but last year one of my friends served me a PB and banana sandwich with cinnamon on it, and it was even more delicious! Wow I love PB & B! I don’t think I’ve ever had fresh PB, but I love the idea of it already.